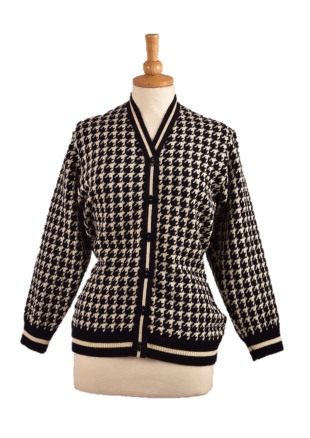 Our Islay Dog Tooth Cardigan is a timeless classic style that fits all ages and many wearing occasions. 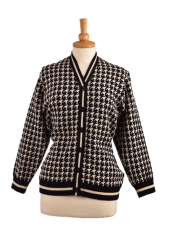 Works well as a separate for style conscious ladies of all ages. Wash Only at 30°C maximum and dry flat. Not suitable for Tumble Drying. 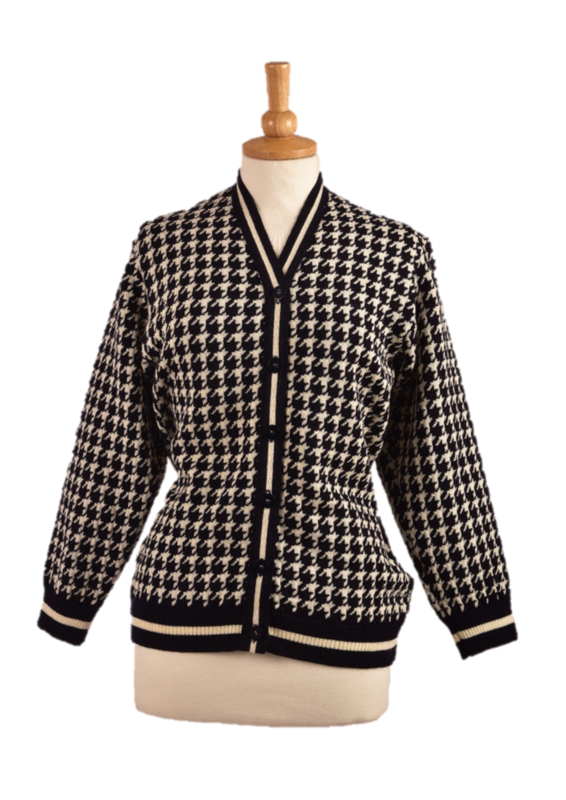 See our full Ladies Heritage range here.